It is an unusual pleasure to read a book that makes me, by turns, happy and furious. This speaks volumes about the ability of a writer to create characters a reader can love and hate – and even more still that one can feel both for a single character. 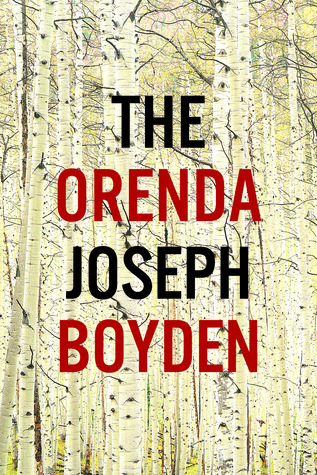 Recently that book has been The Orenda by Joseph Boyden. The cover, when I first looked at it, didn’t make sense to me. But upon closer inspection I realized it was birch trees. It’s beautiful and understated, just like much of the book. It takes place in the beginnings of modern Canada – then called “New France” by some. We focus on three characters; Christophe, a Jesuit priest who has come to convert the “savages”. Bird, a warrior of the Wendat people and Snow Falls, a girl of the Haudenosaunee who Bird has taken as his new daughter after he has brutally killed her family. The book is a little difficult to get into, at first, but then we learn more about the culture of Bird’s people and the rhythms of their lives. We learn the reasons behind Bird’s abduction of Snow Falls and how she eventually becomes part of the Wendat. As for Christophe, his genuine desire to fulfill his mission: to save the souls of a people he views as backward and sinful, is at once terrifying and saddening. Saddening because we know how it turns out in the end. This is the part that makes me angry – that the Crows, as Bird calls them, end up having so much influence and control over the fates of so many indigenous people, but at the same time, it’s not entirely Christophe’s fault – because he’s doing things he believes he should, just as Bird and Snow Falls do. I won’t get into any spoilers, but rest assured that this one is going on my favourite’s list. Boyden’s writing is excellent – I love when you can get absorbed into the story and not notice the mechanics at work. I don’t know if you’ve come across that news story where a Utah teacher and blogger, Tim Torkildson was fired because his blog post about homophones was considered part of a “gay agenda”, but it has given me enough of a head shake to write this post. (I first saw the story on The Huffington Post and it’s been written about in several places as well). It probably shouldn’t be shocking that this happened in Utah, or at all, but I have to just put this out there: the English language is tricky. This man’s boss, is ignorant, plain and simple, and I will explain why with the power of etymology. That’s etymology, not entomology, which is the study of insects. Bugs have no place here unless they are infesting someone’s brain. (Which is not something I can disprove, come to think of it.) Etymology on the other hand is the study of words and word origins. Seems a little nerdy, eh? But very useful when teaching about why some words in our language are spelled the way they are, or mean what they mean. The word homophone derives from the Greek homo- (ὁμο-), “same”, and phōnḗ (φωνή), “voice, utterance”. The word incidentally, refers to a group of words that sound the same, but are spelled differently and have different meanings. Examples of homophones are words like ‘to’, ‘too’, and ‘two’ or ‘bear’ and ‘bare’. You get the idea and you probably also get why an ESL teacher would be talking about them on a blog. The prefix, ‘homo-‘ can be attached to everything from milk (homogenized – where the fat globules are reduced in size and dispersed uniformly through the rest of the milk) to math (homomorphism: a function that preserves the algebraic operations between two algebraic systems). There are many words that use this Greek prefix that have nothing at all to do with a gay lifestyle: homocentric, homogamy, homograph, homogeny, homogenesis, homogenous, homologous, homograph, homonym, homophyly, homoplastic, homopolar, homosporous, homotaxis…. (if you don’t know what these words mean, I will link a dictionary for your reading pleasure. It’s riveting, I assure you!) you get the picture. So of course, homo- when it gets attached to ‘sexual’ means what? Right! Now just to clear up a little more confusion about the word Homo. This is a Latin word, rather than a Greek prefix and means ‘human’ thus our scientific naming of Homo Sapiens and our ancestors like Homo Habilus, and Homo Erectus who always causes some sniggers in the back of the class, I’m sure. As such, this term also has little to do with a homosexual agenda – if one even exists. In spite of these facts, there seems to be a pervasive and horrid logic that posits every word that begins with homo- is attached to some fabled conspiracy to make the world gay. This is something that I can blame a little on our heavy reliance on slang and an aversion to dictionary use or this thing called ‘reading’. “Homo” has become a derogatory term for a homosexual person and this has created confusion in those who are unable or unwilling to use critical thinking skills to avoid looking like a complete idiot. 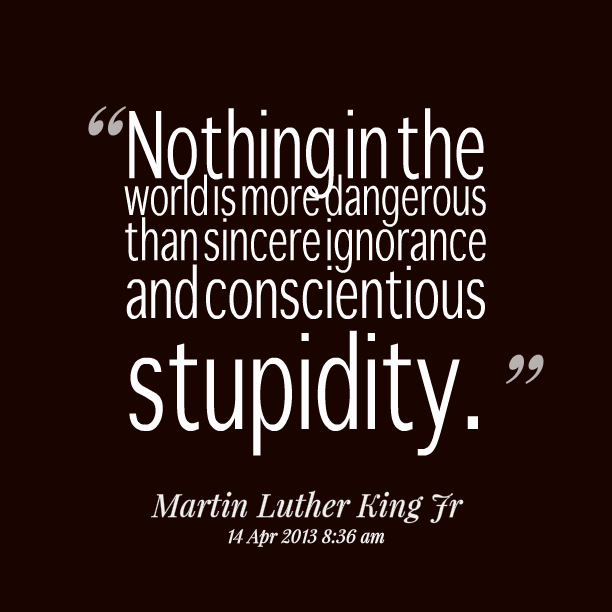 Er, I mean those who are unwilling or unable to use critical thinking skills to prevent some serious conclusion-jumping and unnecessarily embarrassing situations. (Better?) If Clarke Woodger had just pulled his dictionary out from where it was propping the door open he might have avoiding firing a decent educator.